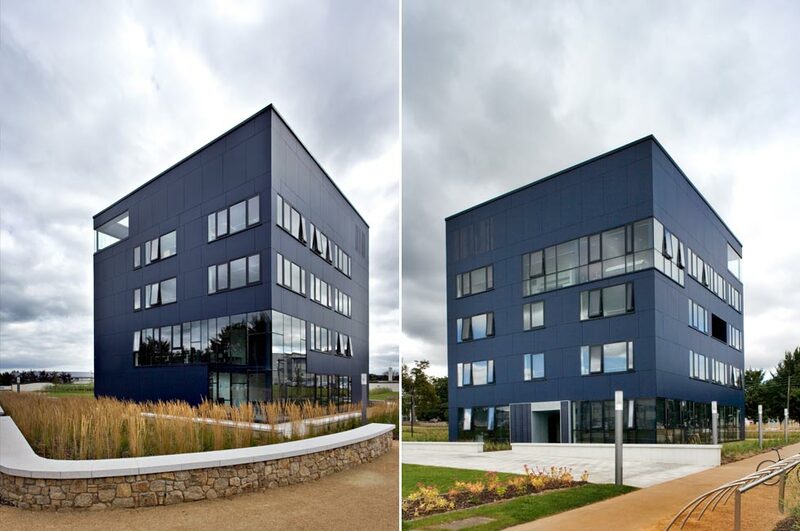 This new-build digital media incubation facility comprises 25 enterprise units; a hotdesk area; industrial research space; meeting rooms; canteen; a publicly orientated gallery and outdoor media presentation facilities including an external media screen at roof top level. This low budget, high concept, facility is also designed to act as a marker for the realigned campus entrance, connecting the central administration to Kill Avenue. 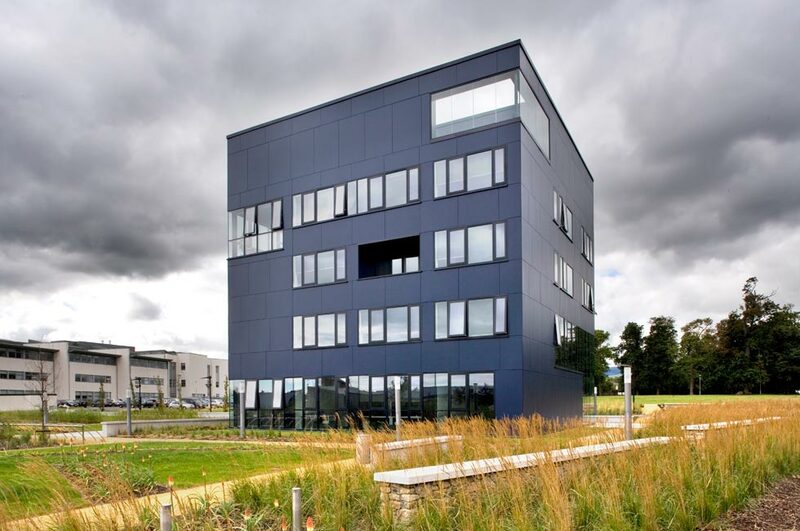 The building takes the form of a cube, approx 16.6m in width, height and depth. 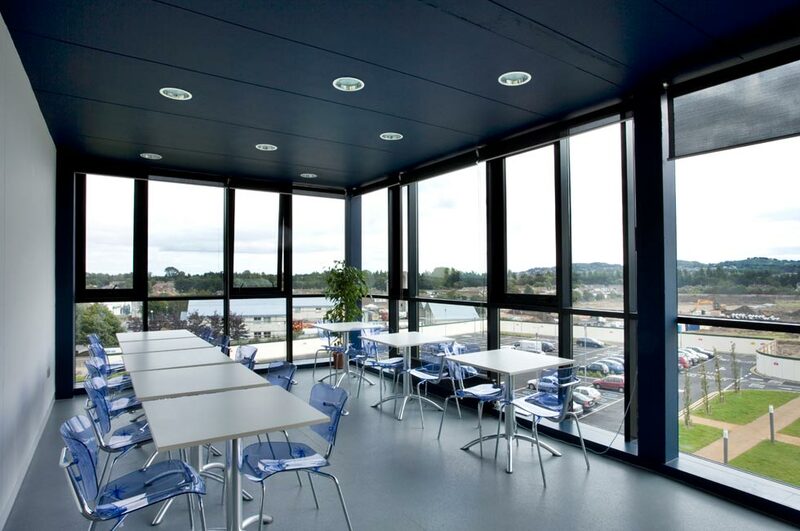 The accommodation is organised around a central core, containing lift, stairs, toilet facilities, and stores. 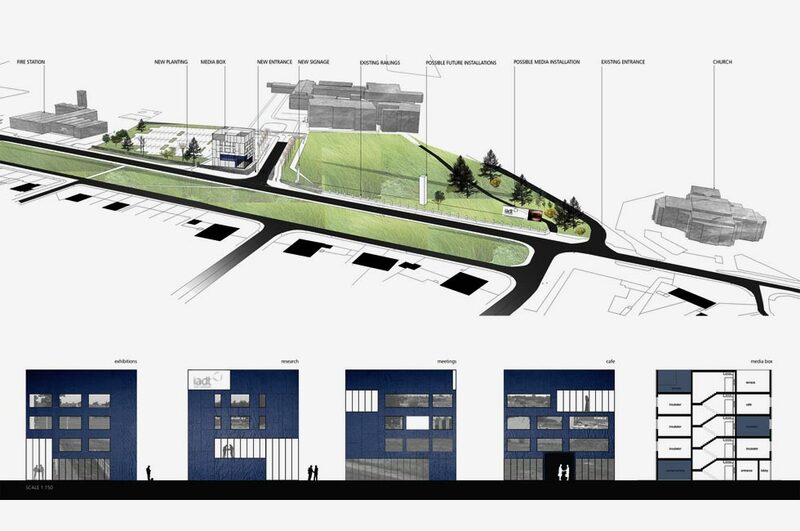 The form is aligned to one side of the axis to the existing campus building, and is read as a pavilion building addressing the road, campus, fire station and church. 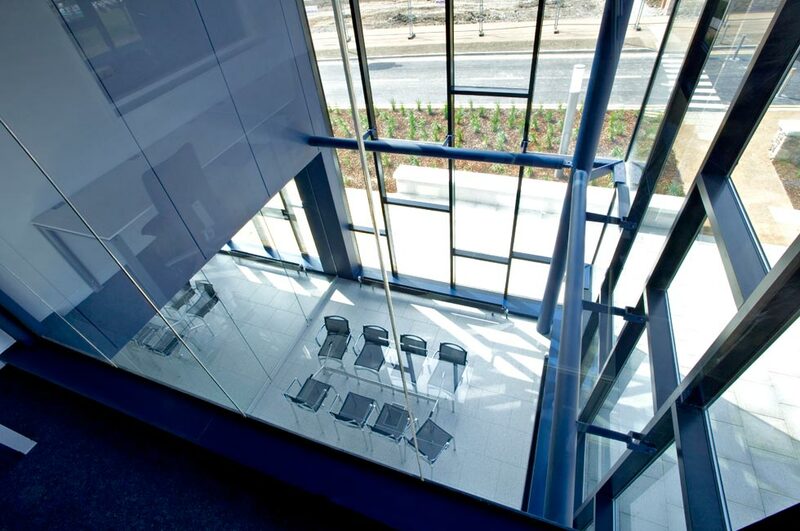 The public aspects of the building – the gallery, presentation areas and embryo unit – are linked together to form a ‘shop window’ to the corner of the building. There is interaction between these spaces, with display changing during the year to highlight events both with the centre and the campus. At roof level, there is a display area, which also varies according to events. 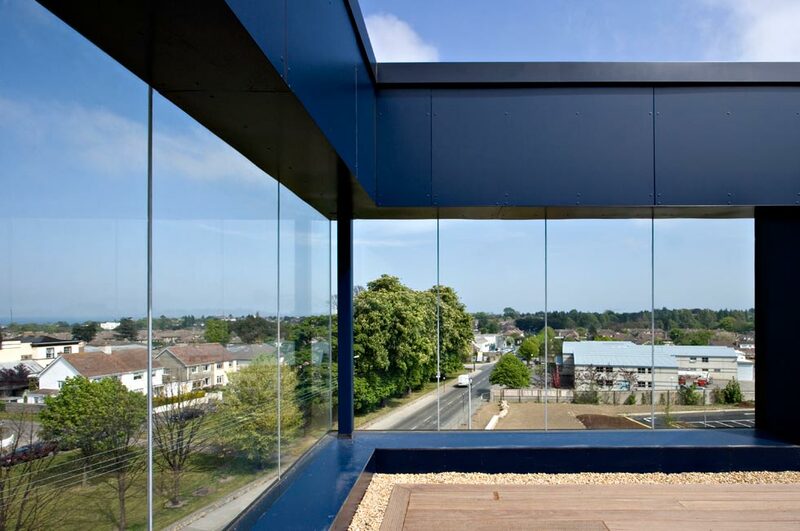 As the building is seen from a height coming down from Baker’s Corner, and in order to complete the cube, the top roof wall area has been brought up to incorporate plant area and lift over-run thereby allowing any future ventilation or mechanical systems to be hidden from view. Total floor area: 1,100 sq.m.